These two quilts are Karen's and I think they turned out great! This is Shauna's fun quilt. I did "Maidenhair" panto on it. It's a really fun quilt and I like how it turned out. This is Peggy's soft Flannel quilt. I did the pattern "Feathered Curl", one of my favorite patterns. This is Lou Ann's quilt and I did the pattern "Gilded" on it, also one of my favorite patterns! With in the last month, I've been tickled to receive the Liebster Blog award 5 times! Teresa @ Common Quilts, Teresa @ Quilting Is My Bliss, Kim @ Seeing Stars, Auntie Em @ Quilt Crossing and Jan @ Red Shed Quilting!! These ladies are all so talented and so much inspiration can be found over and over again on their Blogs! Now for a few blogs that I've nominated for the Liebster Blog Award. Dayna @ Precut Paradise I've been a follower of Dayna's blog, she's a lot of fun and a talented quilter! Esther @ Threads on the Floor You want to see an amazing quilter, go check out what Esther's up too! Kim S. @ Sew-n-Sew Quilting I just have one thing to say about Kim's blog..."Just Leaf It"!!! 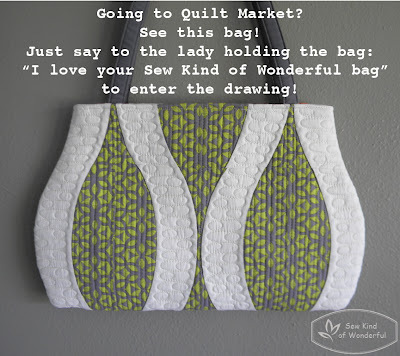 The Queen of quilting leaves! It was hard finding blogs that haven't been nominated for this award yet .....hopefully? This is Brenda's quilt. I finished it on Saturday. I did continuous line in the blocks and my freehand feather/swirly thing in all the open spaces. I used a circle template for the center feather designs and rather than trying to make a feather ring on the inside of the circle (I struggle with that). I just did the same freehand design as I did on the other open spaces. I used a light tan thread for the blocks and an off white for the background. It took me about 5 hrs. to do up. She provided me with poly batting, which is a little more difficult to work with, because it is so puffy, but the end result's really shows off the quilting. Good job Brenda! 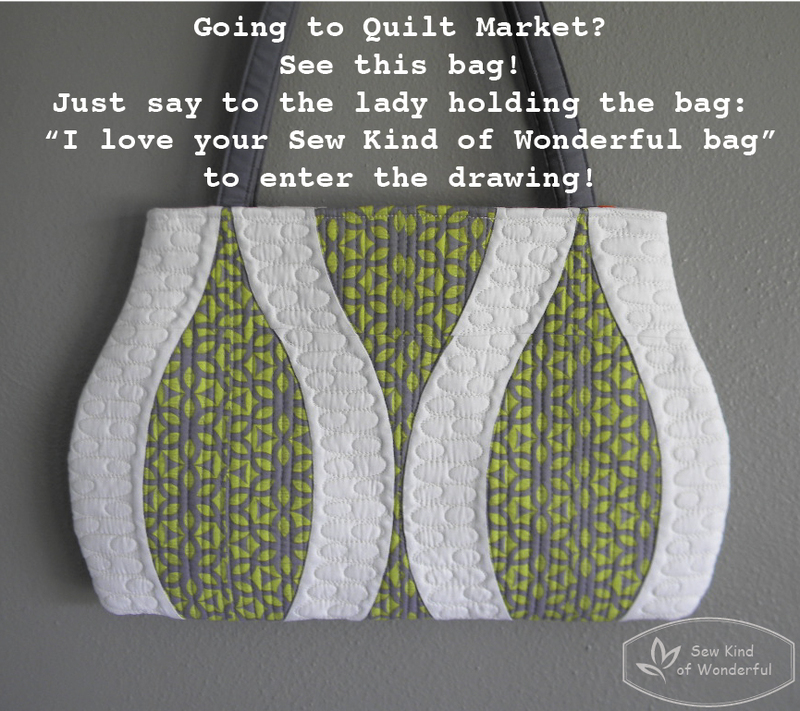 Sew Kind Of Wonderful: A Giveaway for a Giveway!